Morclean provide this range of standard build Zone 1 hot and cold pressure washers, please contact us for more information. 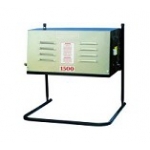 Electric Heated Mobile Hot Water Pressure Washer Maximum Pressure 100 - 200Bar. Flow rate of between 12 and 21 litres per minute. 110, 240 or 415 volts. Dimensions are 760mm high, 740mm wide, 1040mm long. Weight 150-200Kg. For further information, please click here. 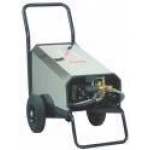 Hot Water Heated Pressure Washers for use on a variety of sites. This machine is a stationary unit. Maximum Pressure 100 - 200Bar. 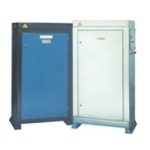 Flow rate of between 12 and 21 litres per minute. 110, 240 or 415 volts. Dimensions are 1590mm high, 840mm wide, 580mm deep. Weight 200-230Kg. For further information, please click here. 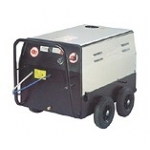 A cold water mobile ATEX approved Pressure Washer Maximum Pressure 100 - 200Bar Flow rate of between 12 and 21 litres per minute 110, 240 or 415 volts Dimensions are 35" high, 20" wide, 36" deep Weight 60Kg For further literature, please click here. Cold Water Stationary ATEX approved Pressure Washer Maximum Pressure 100 - 200Bar. Flow rate of between 12 and 21 litres per minute. 110, 240 or 415 volts. Dimensions are 16"" high, 29" wide, 20" deep. Weight 70Kg. For further literature, please click here.